Opening Day of the 20th Season of the Market at Pepper Place is THIS SATURDAY, April 13th. 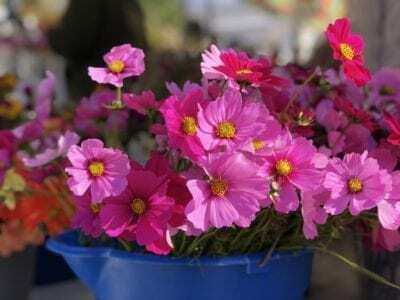 The weather will be beautiful, the strawberries and asparagus will be fresh – and spring is in full bloom. So, get on down to Pepper Place and see all the goodness Alabama has to offer. Many of the best‐known Alabama farmers will be at the Market, with a wide variety of freshest locally grown produce. 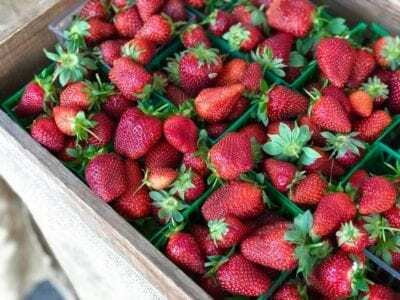 In addition to the strawberries and asparagus, you’ll find broccoli, carrots, cabbage, collards, fennel and kale, lettuces and herbs, mushrooms, radishes, squashes, tomatoes, and gorgeous spring flowers. You can dine on a myriad of morning treats ‐ breakfast burritos from Homewood Gourmet, croissants, breads and pastries from Continental, Hinkel’s and Joyful Food Bakeries, sausage biscuits from Monroe Sausage and Pop’s Neighborhood Grill, hot dishes from Taj India, and juices and ferments from Fresh Squeeze and Better Kombucha. There’ll be coffee from Red Cat and Seeds Coffee, tea from Tea Town, and treats to enjoy with them ‐ donuts, granola, kettle corn and scones. Take home (or to your friends) pies, pound cakes, puddings and pork skins, salsas, spices, artisan and pimento cheeses, cookies, cheesecakes, ice cream and ice cream pops. The Market also accepts SNAP/EBT and lets users double their food dollars with Double Up Food Bucks, so they can take home even more fresh fruit and veggies. Information and SNAP tokens are available at the Market Info Tent. Once you’ve shopped and had a bite to eat, take time to walk around and discover the local artisan-made goods – pottery and planters, cutting boards and wooden spoons, candles and soaps, handmade aprons and tote bags, jewelry, wind chimes, silkscreened t‐shirts, artwork and handcrafted jewelry. Select a bouquet of colorful cut flowers grown by Alabama farmers and gardeners, or get your own garden started with ready‐to‐plant seedlings and herbs. Fans can also show their support for the Market , a 501(c)3, by becoming a Friend of the Market. Sign up at the Info Tent or www.pepperplacemarket.com/donate. Grab a seat, relax and enjoy the excitement of our 20th Season. 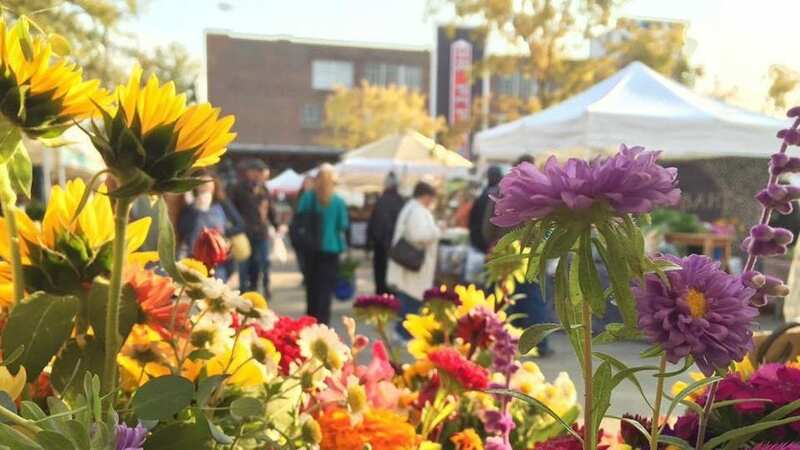 The Market was founded in 2000 and is the largest weekly farmers market in Alabama. 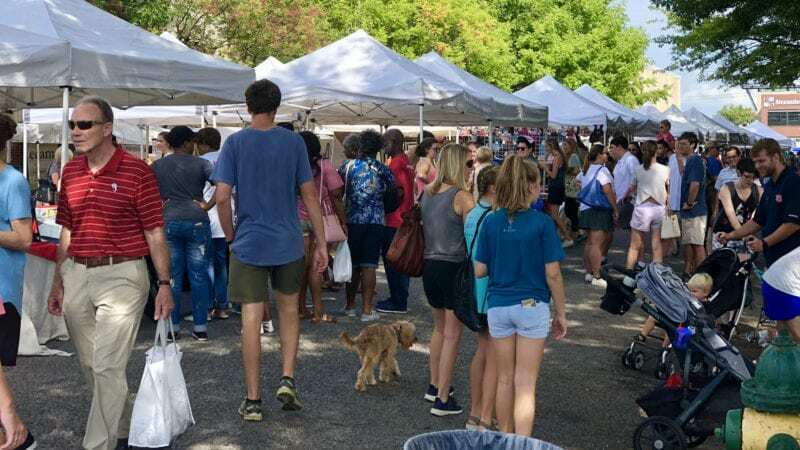 It’s the one spot where, every Saturday, anyone can experience the amazing creativity and diversity in Alabama and directly support farmers, the community and the state by visiting and shopping with them. There’s plenty of free parking, plus bike racks, a Zyp bike station and local Max bus service. As an Entertainment District, visitors can also grab a mimosa, bloody mary or other adult beverage in an official Pepper Place Entertainment District cup and walk the Market. Cantina Tortilla Grill, The Lumbar and OvenBird will all be open this Saturday morning with a selection of breakfast bites and drinks to enjoy inside, or anywhere outside as long as you remain within the District. New signage indicates the District boundaries. During the Market, also explore FarmStand, the new fine food and luxury goods store at the Pepper Place. And, Ignite Cycle is open on 29th St. with the first “soul cycle” studio in Birmingham. Look for exhibition cycle mini‐classes in the chef demo area during the Market April 20th and 27th. Finally, OvenBird will officially reopen for its famous brunch this Saturday, 9am‐1pm. For more information on The Market at Pepper Place, visit the website.